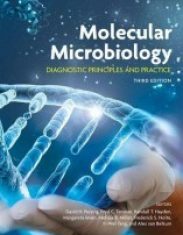 THIS BOOK DEALS with some of the most advanced methodological approaches in signal analysis of biomédical interest. A basic background of digital signal treatment is generally required in order to better cope with the more advanced methods. 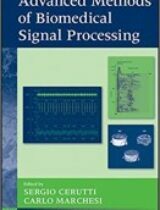 Readers who are not familiar with the basic concepts of signal (or biomédical signal) processing should read the first two sections, which cover the most important concepts at a level that will be useful for correctly understanding the other chapters. 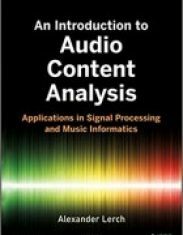 Some basic references are included for those who want to go deep into detail on the fundamentals of signal (or biomédical signal) processing, which is not the aim of the present book. Today, the evolution of the various approaches employed for biomedical signal processing (as well as the implementation of suitable algorithms of signals and data treatment, sometimes complex and sophisticated) makes difficult the proper choice of the method to be used according to previously defined objectives. 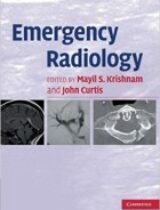 Such objectives might consist of simple signal/ noise improvement; the extraction of informative parameters that are important from the clinical standpoint; diagnostic classification; patient monitoring; diagnosis or, in critical cases, the surveillance of subjects such as elderly people or neonates, who can encounter acute episodes; as well as the control of determined chronic pathologies. Hence, to know the wide range of methods that could be employed in the various contexts of signals and data processing is certainly a major qualifying issue. 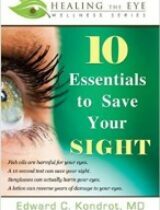 On the other hand, the clinical studies that have successfully employed advanced methods of signal processing are numerous. The sixth most cited paper from Circulation Research (which is perhaps the most prestigious journal dealing with advanced research themes of the cardiovascular system) is one of the fundamental papers about the theme of heart rate variability (HRV) (Pagani et al., 1986). In Medline, about 12,000 papers have been indexed that deal with this theme. More remarkably, for the journal Circulation, the third most cited paper is the well-known Task Force on Heart Rate Variability study (Malik et al., 1996). 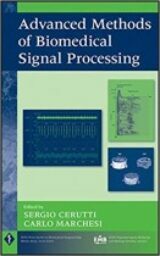 In these papers, parameters obtained even via nontraditional approaches of signal processing are widely reported and commented upon. These approaches are deterministic or stochastic, linear or nonlinear, monovariate or multivariate, fractal-like, and so on, and important pathophysiological correlates are suggested and documented. Furthermore, new equipment is available in the clinical market that employs parameters derived not only from traditional signal processing approaches but also characterized by a certain methodological complexity, such as bispectral indexing or the measurement of entropy parameters in EEG signals for the monitoring of anesthesia level (manufactured by Aspect Medical Systems, Inc. and GE-Datex/Ohmeda). 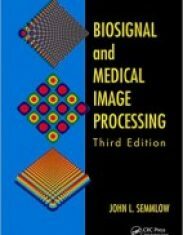 Various contributions in this book will show that biomédical signal processing has to be viewed in a wider context than the one generally attributed to it, with important links to the modeling phase of the signal-generating mechanisms, so as to better comprehend the behavior of the biological system under investigation. The fundamental concept is that often the modeling phase of a biological system and the processing phase of the relevant signals are linked to each other and sometimes reciprocally and synergically contribute to improve the knowledge of the biological system under study. 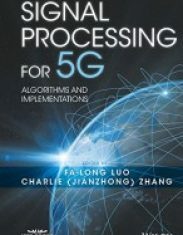 This book also includes the presentation of signals and data processing methods that are homogenous and, hence, may be used to integrate in the same metric system information derived from different approaches, coming from different biological systems, on different observation scales. 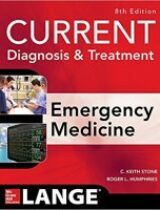 In this way, a more integrated and, hence, more holistic, view of data, signal, and image processing might significantly contribute to an effective improvement of the clinical knowledge of a single patient.